A 15-meter-high climbing wall in the middle of the tourist quarter Thamel in Kathmandu – who would have thought it? 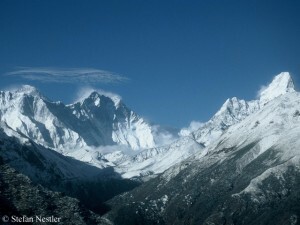 “The wall is the nursery for the sport of climbing in Nepal”, Dawa Steven Sherpa tells me. “All of the young ambitious Sherpa climbers have trained here.” I meet the 32-year-old in the office of “Asian Trekking”. 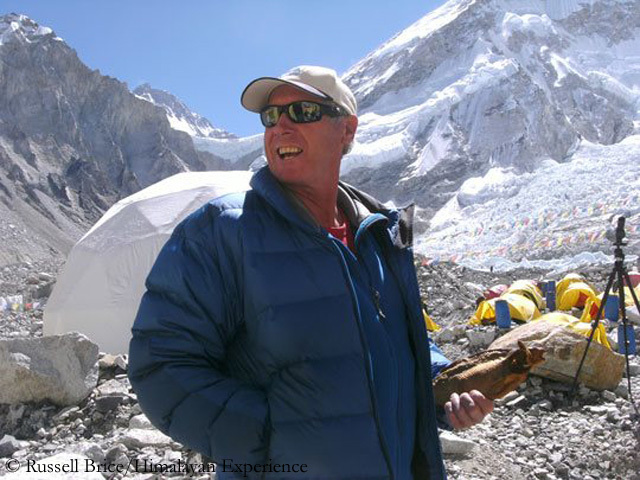 Along with his father Ang Tshering Sherpa, Dawa Steven is managing the leading Nepalese expedition operator. I talk with him about this spring season on Everest – after the avalanche in the Khumbu Icefall in 2014 that killed 16 Nepalese climberes and the earthquake in 2015, that triggered an avalanche from the 7000er Pumori that hit Everest Base Camp killing 19 climbers. 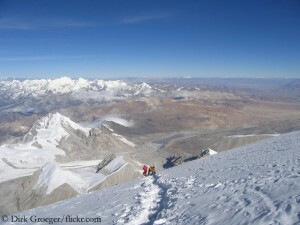 Dawa Steven, Asian Trekking once again offers an Eco Everest Expedition this spring. Will it take place? 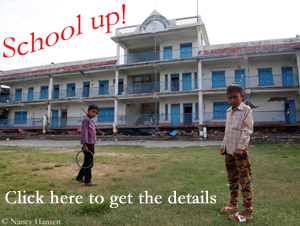 Yes, it will start from Kathmandu on 6 April. So far we have 14 foreign members and 21 Sherpas but this number will change by the end of the month. Do you notice that there is a lower demand this year? 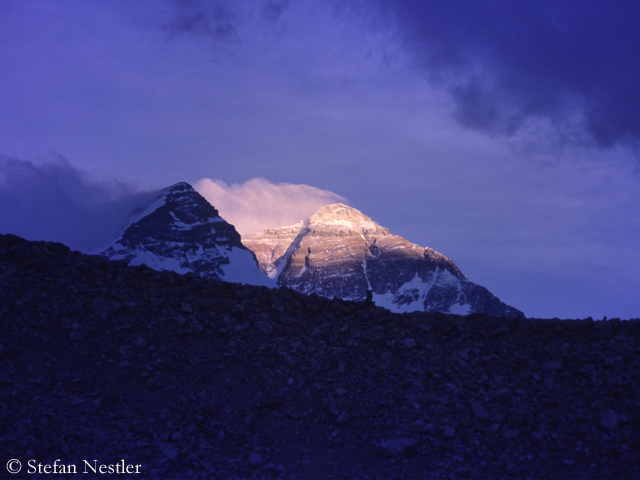 The upcoming spring season on Everest casts its shadows before. Ten “Icefall doctors” were sent to the Base Camp on the Nepalese side of the highest mountain on earth to prepare the route for the commercial expeditions. 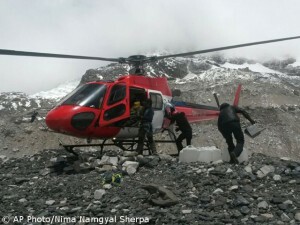 In the past two years, there had been no summit successes from the south (I deliberately ignore the “success” of Chinese climber Wang Jing and her Sherpa-Team in 2014 who had been flown to Camp 2 by helicopter). In 2014, the spring season had prematurely ended after an ice avalanche in Khumbu Icefall had killed 16 Nepalese climbers. In 2015, the 25 April earthquake had triggered a huge avalanche from Pumori that had hit Everest Base Camp and killed 19 people. On Monday, the Nepalese cabinet – at last! 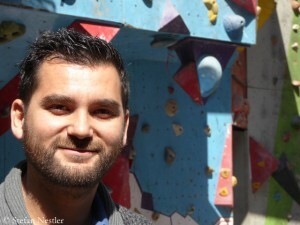 – gave green light for the extension of the 2015 climbing permits by two years. 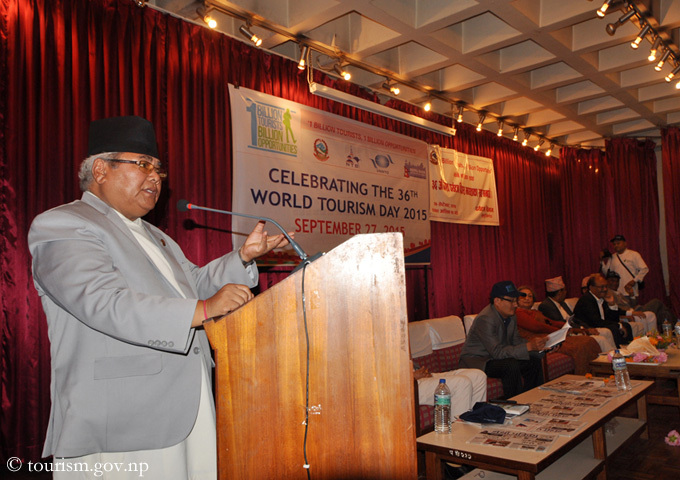 “It is a welcome move from the government that we hope will help bring back the climbers to the mountains”, said Ang Tshering Sherpa, president of the Nepal Mountaineering Association. 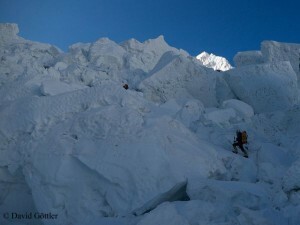 But it might be too late for many of the about 800 climbers who got a 2015 permit, including 357 Everest aspirants, to return already this spring. 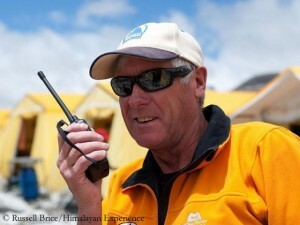 I asked Mingma Gyalje Sherpa about the upcoming season. The 29-year-old, who has already climbed seven eight-thousanders and recently made headlines by solo climbing the difficult West Face of 6685-meter-high Chobutse for the first time, is head of the Kathmandu based expedition and trekking operator Dreamers Destination. Mingma, the spring season is around the corner. What do you expect, especially on Mount Everest? Stricter rules for Everest permits? The Nepalese government apparently wants to make sure that Mount Everest is taken seriously again. Speaking at an event in Kathmandu on the occasion of the World Tourism Day on Sunday, Tourism Minister Kripasur Sherpa said that new age limits and other more stringent conditions on granting permits for Everest expeditions were in preparation. It is considered to allow only climbers aged between 18 and 75 to climb the highest mountain on earth. The Base Camps on both sides of Mount Everest have got empty eleven days after the devastating earthquake in Nepal. The climbers are on their way back. What about their permits, after they could not even make a single attempt to climb the highest mountain on earth? In Nepal, the Sagarmatha Pollution Control Committee (SPCC) has requested the government to extend this year’s permits until 2016.